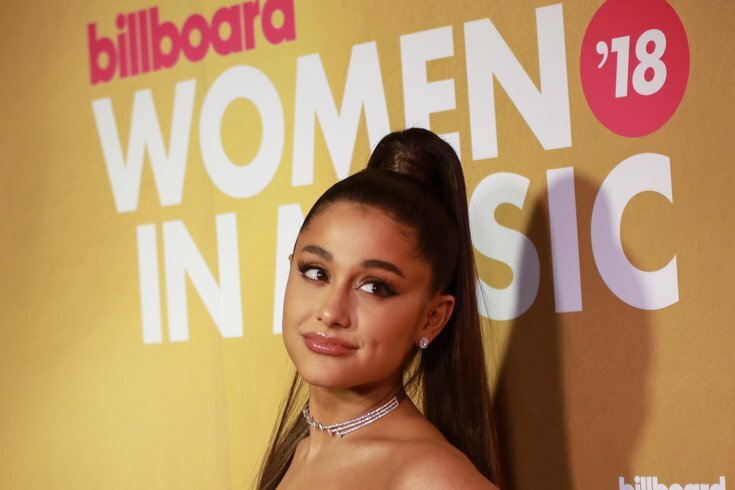 Ariana Grande attends Billboard 2018 Women in Music at Pier 36 on December 6, 2018 in New York, NY. Ariana Grande, capitalizing on her last name being synonymous with a Starbucks cup size, has unveiled a new drink in collaboration with the coffee giant: the cloud macchiato. The drink is a variation on the chain's traditional caramel macchiato, this time upping the foam portion for a foggy, cloudy effect. The macchiato is melded with cold microfoam, "frothed cold and blended until smooth, creating layers of creamy texture and flavor, without the cream," as Starbucks describes it. In addition to caramel, the drink also infuses cinnamon flavoring. Despite being made with cold foam, the drink can be ordered hot or iced. The great unveiling of Starbucks' new drink comes after the company and Grande posted some brow-raising Tweets earlier this week, including a lot of cloud pictures from on the coffee chain's accounts. This is all very on brand for Grande, as the singer just released a new perfume, also called Cloud, last month. According to Business Insider, Starbucks will release two new playlists this week, including one featuring Grande and some of her favorite songs. In honor of International Women's Day on Friday, March 8, Starbucks will release a second playlist specific to the occasion.